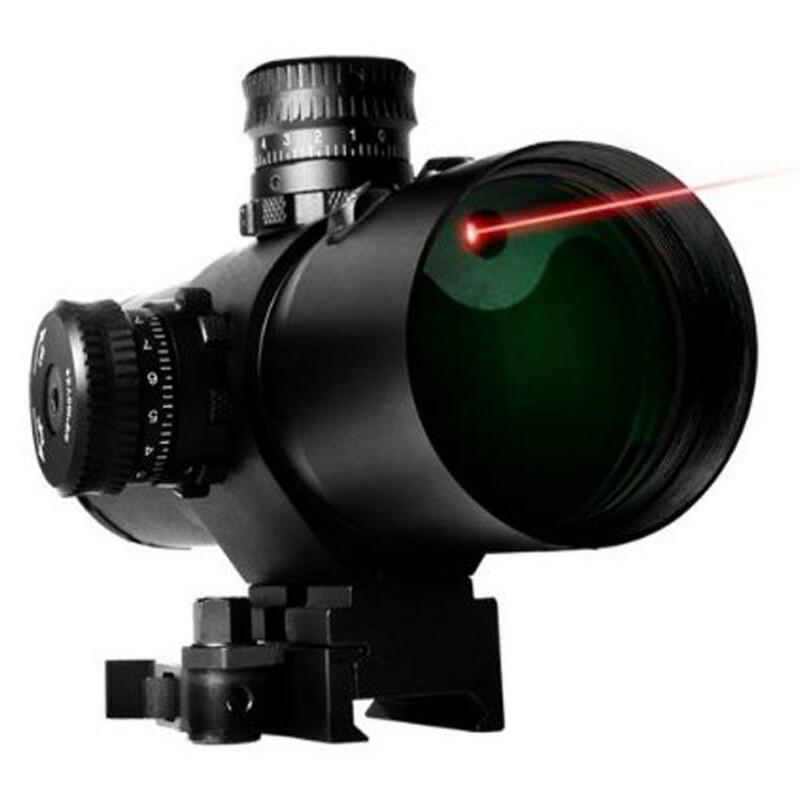 Buy Cheap Ncstar VCBTRM342G Vism CBT Series 3x42 Prismatic Mil Dot Rifle Scope With Red Laser |ReplicaAirguns.ca | New Website! The Vism 3x42mm Cbt Center Beam Series Prismatic Riflescope Has Been Designed To Provide You With A Tactical Advantage. This Rifle Scope From The Professional Product Experts At Vism Is Made With A Green Lens Coating And Matte Black Finish That Will Make Sure Your Remain Unseen. The Vism Cbt Prismatic 42mm Rifle-Scope Is Made With An Auto-Locking Latch And Quick Release Lever That Will Remove And Attach Easily To Your Weapon. This Vism Riflescope Is Made With Locking Rings For The Windage And Elevation Knobs, So You Won't Have To Worry About Your Settings Changing During Transport. The Vism 3x Center Beam Cbt 3x Rifle Scope Has An Integrated Mount That Will Attach To Any Picatinny Or Weaver Base.